Internationnal customers price is € 165.83. Délai de livraison (vers la France) : 5 jours. 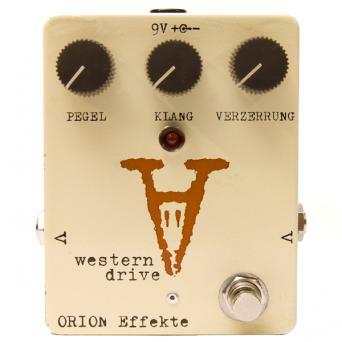 The WESTERN DRIVE is a very vintage sounding rough and dry overdrive tending towards a fuzzy direction. 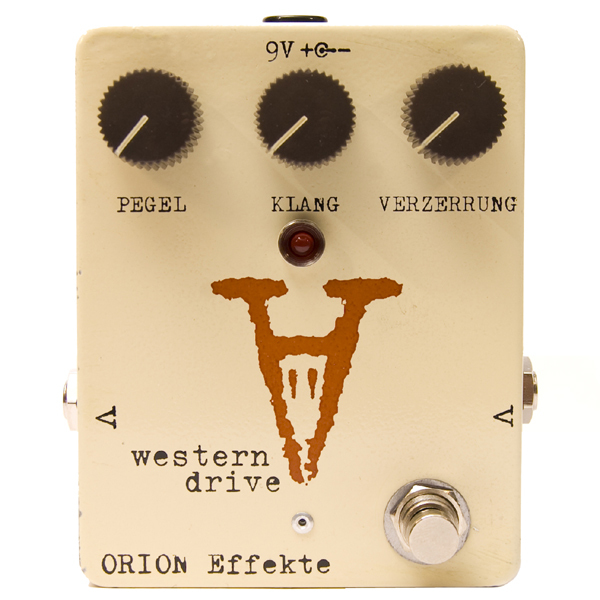 This pedal puts the ultimate dirt into your guitar sound, but is still able to create distortion and a clear overdrive. The tone knob helps you to adjust the sound to the respective amplifier and guitar. Highly recommended for bass-guitar players!